Don't just admire the dinosaurs - be one! 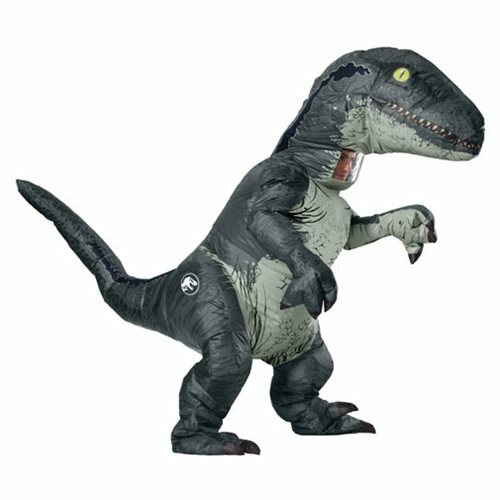 Straight out of the sci-fi adventure film Jurassic World: Fallen Kingdom, this Jurassic World: Fallen Kingdom Blue Inflatable Costume with Sound lets you take on the guise of Blue the Velociraptor… and sound like her! The inflatable full-body suit features a battery-operated fan and a "roar" sound box.